Where to start? I have a blank-slate-of-a-house in front of me and these days I'm feeling both excited at the potential and overwhelmed by the possibilities. 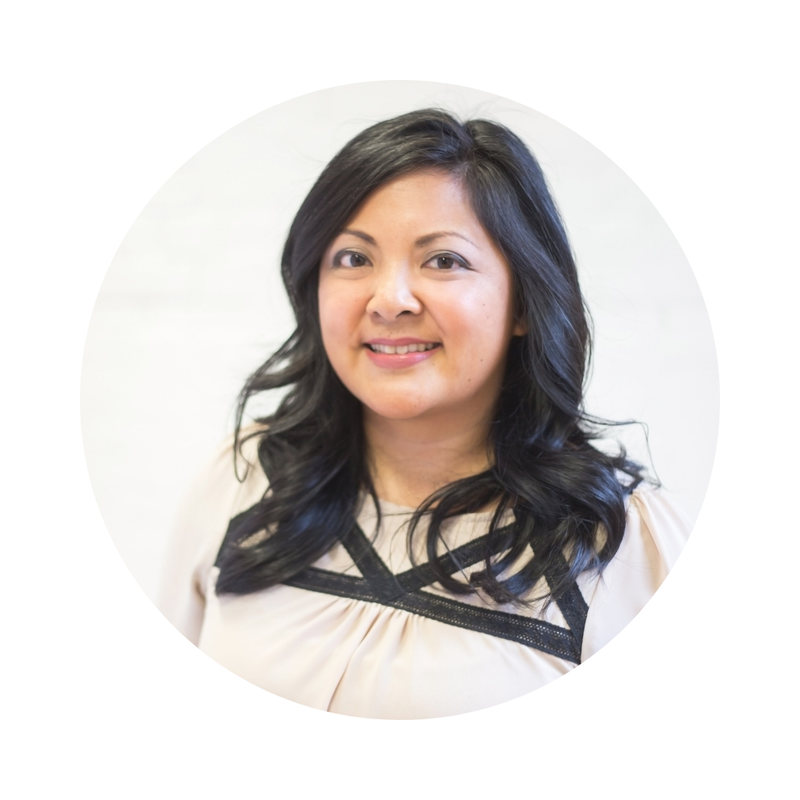 I can tell you what I want my home to feel like but narrowing down what I want it to look like has been a challenge. 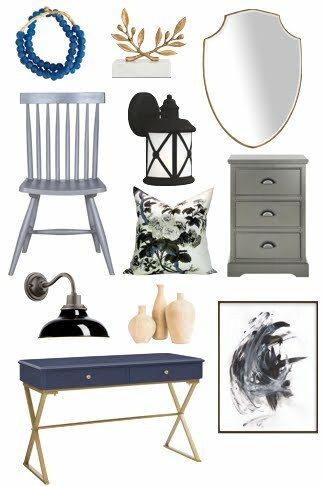 I've been pinning overtime with all sorts of inspiration for each room in the house. But there are a few decor trends that keep catching my eye. Don't be surprised if you see some of these making their way into our home. 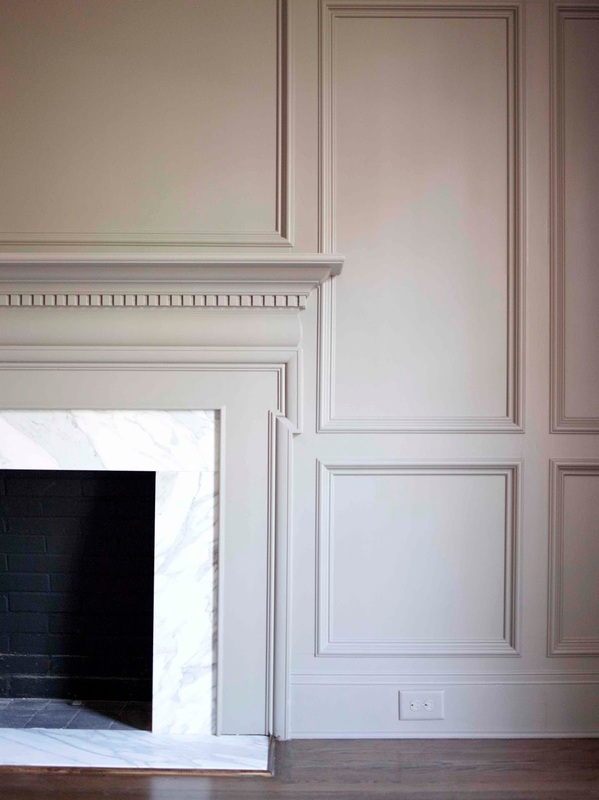 You know I'm a huge fan of mouldings and millwork and our traditional Colonial provides the perfect canvas for these details. We've got a good start with chair rail and picture mould but I'd like to beef up our baseboards and embellish the door and window casings with architraves. And yet I don't want these interior finishings to overpower the room so to keep them noticeable but subdued, we'll paint everything the same colour. 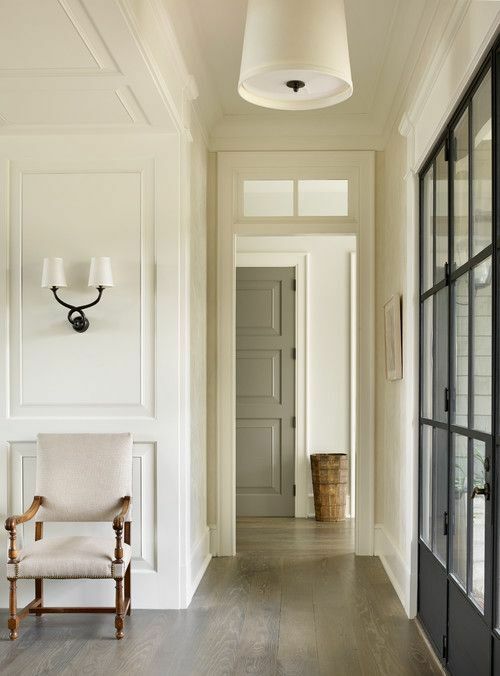 We used this same trick in our previous master bedroom where the entire room - walls, trim, ceiling - was painted in the same warm shade of white. 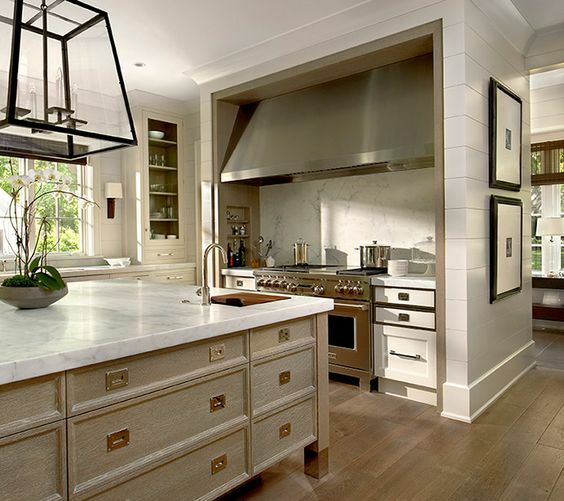 This really allows the architectural details to shine. Flat paint... I have a new fascination with this. Yesterday I visited the local Benjamin Moore store which had recently undergone a renovation. The store had the upper part of the giant walls painted in a flat navy and the lower part in a stone grey. The effect was stunning. The paint colours had depth and character. Their lack of reflectiveness allowed the walls to recede into the background and the product to be more prominent. I imagine a bedroom enveloped in flat paint in muted tones would feel like a quiet, restful cocoon. 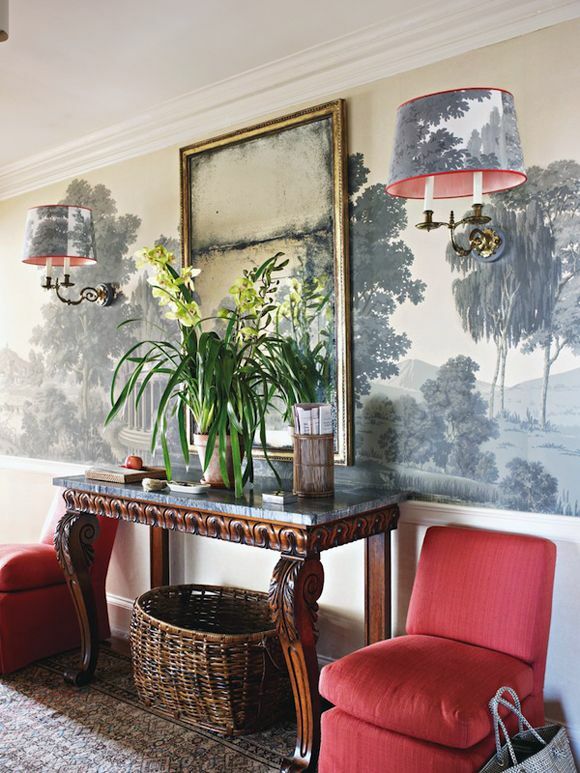 Mural wallpaper, especially of the grisaille variety (grisaille is a method of painting in only grey tones), has been on my radar for a very long time. I would love to wrap an entire room in a mural but as you can imagine this is a very opulent and expensive look. But there are more affordable alternatives on the market that can give that same ethereal sense. One favourite is the Cole & Son Nuvolette wallpaper. Nancy used it in her nursery to handsome effect. I also love this modern abstract take on a mural. 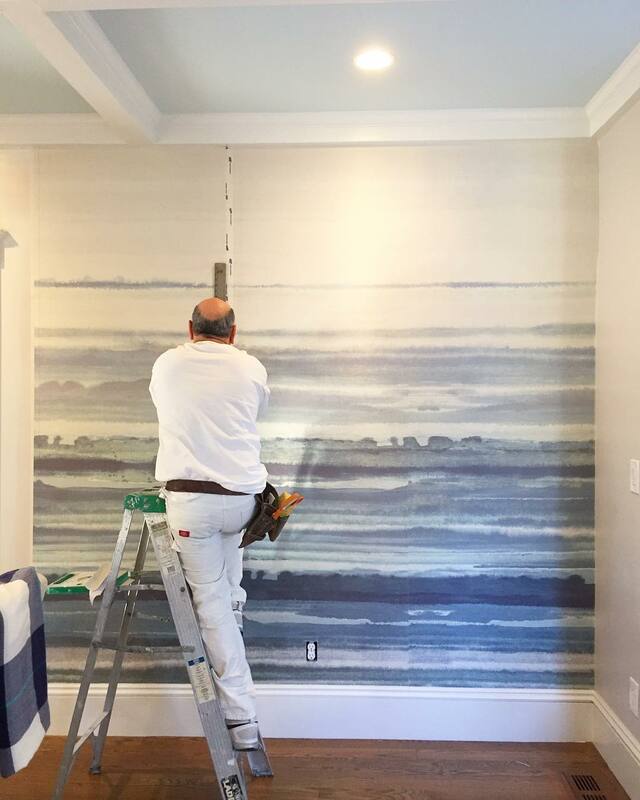 Dina recently installed this gorgeous watercolour grasscloth in her home. Isn't it stunning? As you can see, I'm not lacking for inspiration. Now to pull this all together to create a cohesive design plan for our house!